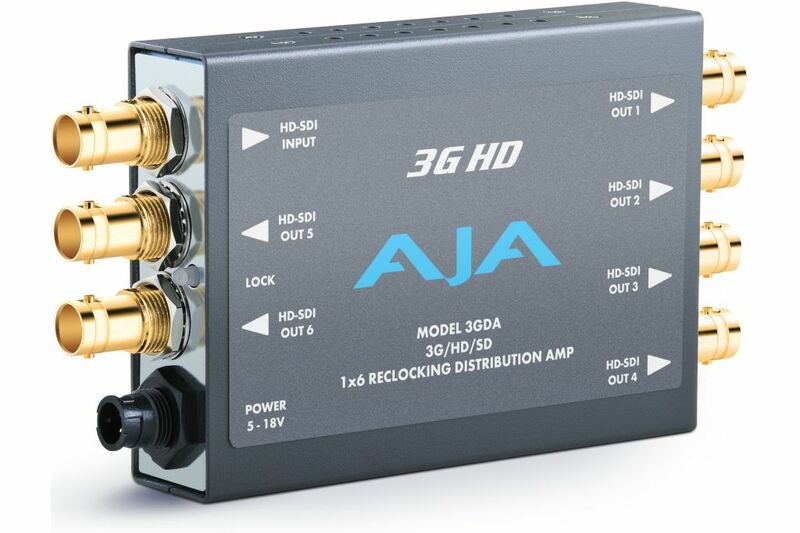 The AJA 3GDA 1x6 3G/HD/SD-SDI Re-Clocking Distribution Amp with DWP features an auto-sensing input and six separately buffered outputs with cable equalization and re-clocking (up to 393 ft in 3G and 1148 ft in SD by coax cable). Both input and outputs support embedded audio. A universal power supply comes included.